Set. Grilled Pork Neck Served With French Fries Or Bread And Salad, Served On Paper Trays. Front View. Fotos, Retratos, Imágenes Y Fotografía De Archivo Libres De Derecho. Image 118519462. Foto de archivo - Set. 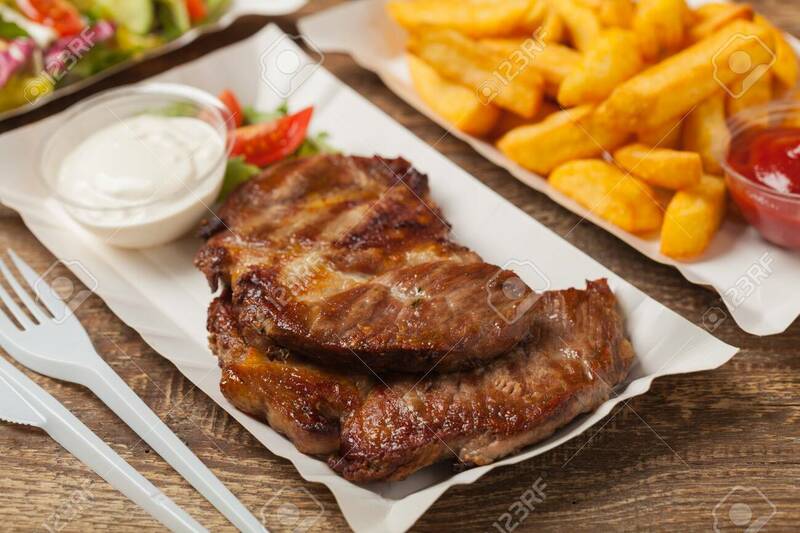 Grilled pork neck served with French fries or bread and salad, served on paper trays. Front view. Set. Grilled pork neck served with French fries or bread and salad, served on paper trays. Front view.